Everyday for the thief one day for the owner. This is an adage inherent in Nigerian and today, it seems the "cup of some people has overflowed". 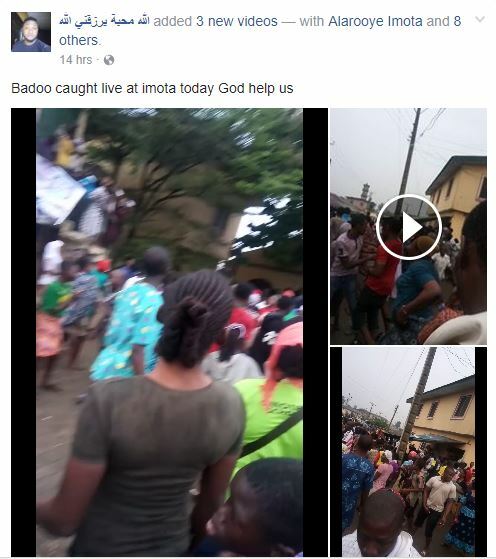 A suspected female member of the Badoo terror gang was nabbed in Imota town, Ikorodu on Monday. 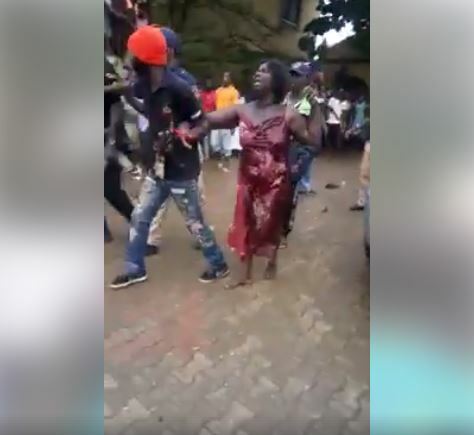 According to a resident of the area who shared the report, the unidentified woman was caught with a grinding stone and charm. 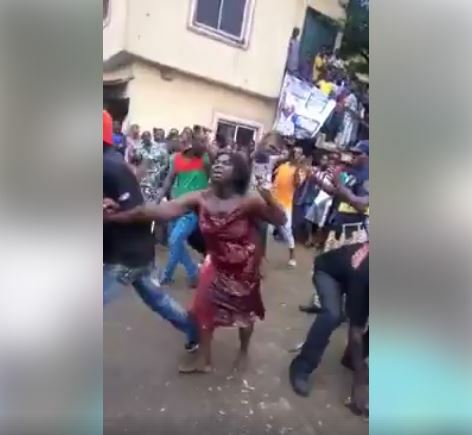 The suspect would have been lynched to death, but for the intervention of the police who arrived early and whisked her away.